echo. & echo. & echo. echo Make sure that there is no USB Drives inserted. echo so Continue without FEAR. You just copy above code into a Notepad file and save that file with .bat extension mean if you are creating a file with the name USB-PROTECT then put the USB-ROTECT.bat as a file name while saving it.. If you are not able to protect your USB Drive with the help of script file then just try it by following few simple steps because Protecting an USB drive depends on Registry and you can do it manually. 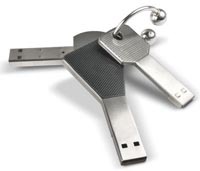 3- Create a new key with the name "StorageDevicePolicies"
5- Then put the USB Flash Drive. 6- Try to Delete a file OR Copy something to it, You will not be able to do that in your system. opinion, if all website owners and bloggers made excellent content as you probably did, the internet might be much more helpful than ever before. I care for such info much. I was seeking this certain information for a very lengthy time.